I do not cry easily. But once I do cry, I need to just shut it down for the day. After one cry, I will tear up over anything for the rest of the day: a text from my Mimi, guilt over not being a better mom, my dying houseplants, an-y-thing. So when I’m stuck in a melancholic funk, I think about Pavlov and my reset button. Ivan Pavlov was a psychologist who made a breakthrough discovery. Using meat and a bell, he developed what’s now known as Classical Conditioning. So basically, Pavlov trained dogs to salivate at the sound of a bell by repeatedly pairing the bell with meat. Much like Pavlov trained dogs to salivate at the sound of a bell, you can train yourself to feel happy with certain triggers. Deliberately choosing to do things that make you happy when you are feeling down, will retrain your brain. To instantly improve my mood, I do at least one of these nine things when I’m feeling down. 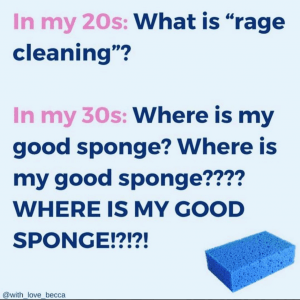 My bedroom is often the last place I clean because it’s only used by my husband and me. And by saying that, I don’t mean that we’re the only ones who use it, so it’s not dirty. It’s still littered with toys and discarded child-sized socks, but I rarely get around to cleaning it because clean dishes and laundry for the whole family always seem more important. 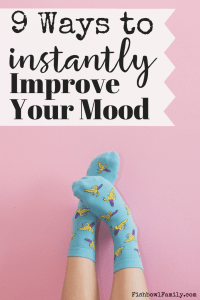 This post, Nine Easy Ways to Improve Your Mood, contains affiliate links for your convenience. 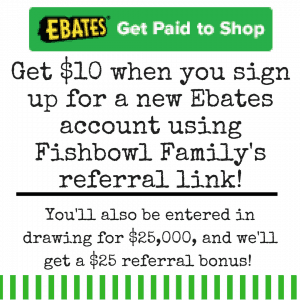 This means that if you make a purchase through our link, we will receive compensation at no additional cost to you. You can read our full disclosure policy here. But sometimes when I’m feeling stressed and overwhelmed, I make all my kids come in and help me clean it. And when I get ready for bed that night, I am smiling ear to ear. I love having a clean room. To walk into my bedroom and have it feel tranquil and clutter free, is amazing. Perhaps you are adulty enough that you’ve figured out the secret to keeping your bedroom clean all the time. If so, please tell me in the comments. If not, you may find that cleaning your bedroom will improve your mood. If you don’t have time for a full bedroom clean because you’re super busy or your room is super junky (no judgment here), try just changing your sheets. Crawling into a bed with fresh sheets is one of my favorite feelings in the whole world. My kids all have super sensitive skin and I’m a little crunchy, so we make our own unscented laundry detergent. But when I wash my sheets, I use the Downy Unstopables because they make my whole bedroom smell great for at least a week. There are numerous studies that show a direct correlation between lack of sunshine and depression. So if you find yourself feeling a bit down, go outside. If you’re feeling social, bring your kids. If not, turn on their favorite show and walk directly in front of your house for fifteen minutes. My neighborhood is a circle that totals 1/3 of a mile. And there have been many days that I’ve given my oldest daughter the extra cell phone that functions as our home phone, the tv remote, and four snacks. I give her explicit directions to keep everyone in the media room and call me if she needs me. My kids get to watch so little tv, they basically turn into statues the moment it comes on. And I feel so much better when I get home. If you work outside of the home, you can still step out of the office for 10 minutes and walk around the parking lot. It is amazing what fresh air and sunshine can do to improve your mood. I am a night owl. I can easily stay awake super late and sleep in super late. Well, my body could if my kids would let me. I say all of that to let you know that this is a real struggle for me. When my alarm goes off in the morning, it is a serious fight with myself to get up. You don’t have to get ready for work. Just sleep in. You were up late. If you get up now, you’ll be tired and grumpy all day. Just sleep in. If you get up and start moving around, you’re going to wake the whole house. Just sleep in. I give all the excuses. But when I do get up and spend time with Jesus before anyone else, my day is markedly better. By reading my devotional first, I start off on the right foot, and while sometimes I still have bad days, I never have that horrible, alone feeling. I know that my savior is right there with me, and while there is puke ALL OVER the back of the car, I will get through this. Speaking of bad days, sometimes the only way to turn it around is to end it and start fresh in the morning. As I mentioned earlier, I don’t naturally fall asleep early, so I usually have to take Melatonin to fall asleep before midnight. But when I do, I wake up feeling refreshed and ready to try again! This advice works for kids too. Sometimes we just have a run of several busy days in a row, and that cumulative lack of rest adds up quickly with kids. At least one night a week, we put the kids to bed EARLY. Like they go to bed and then my husband and I eat dinner together and have a mini date night. And honestly, those have been some of my favorite dates during this season of life. The phrase “too blessed to be stressed,” really irritates me. It makes me feel like I don’t get to be stressed because I’m blessed. But like a petulant child, I will be stressed if I want to. The only thing that phrase is good at is reminding me to count my blessings. If I am actively pursuing gratitude, it is hard to feel down. Yes, my two-year-old just peed inside the cute canvas tote that was holding all 500 sheets of our construction paper and two mops (okay Swiffers) broke while I was cleaning it up. And when I took him upstairs to wash him off, I stepped in dog poop. In my house. But I have a healthy two-year-old little boy who is trying to potty train. Thankfully, Clorox makes a product called Urine Remover, and I have it and use it often. The simple act of writing down the things you are grateful for shifts your focus. It takes you from feeling down to feeling grateful. Because we are all so blessed. Of course, there are things that aren’t great. But when you stop to think about all the amazing things God has given you, your perspective really starts to change. And I often fight against this. It’s like I know that if stop and consider all the goodness in my life, I won’t get to storm around my house like an angry hurricane. I’ll see my children for the wonderful, little blessings that they are instead of wild animals who purposely pee in my adorable baskets. When you feel down, write down twenty-five things that you’re thankful for. You’ll feel so much better when you’re finished. This one is a little silly, but music has been proven to have specific elicited responses in people which means that there are some songs that already make you feel happy. Maybe it’s a song that you loved listening to when you first started driving or you danced to it in high school. Whatever the reason, the song makes you happy. So when you feel down, hook your phone up to a speaker and blast it. Let go of all your cares and just dance. The physical effort of dancing will make your body release endorphins (happy hormones), and you will further enforce the classical conditioning that the song makes you happy. Since I’m a stay at home mom, my dance parties always have an audience. It puts them in a better mood too. Often when we’ve had a rough day one of us will say, “ten-minute dance party!” and we’ll turn on songs and dance together for ten minutes. It’s an immediate way to turn around a bad day and get a little cardio. My husband wore Gap Blue cologne when we started dating. Fifteen years later, when I smell Gap Blue, I immediately remember the summer I was eighteen and falling in love. Sigh. Smells are like that. They trigger emotional responses, so why not use them to make yourself feel happier? I start every morning by diffusing an essential oil. I typically choose a blend like Stress Away or Focus, but even something simple like Lemon or Citrus makes me happy. I think part of it is the actual blend of oils doing what they claim to do. Remember how the wise men brought Jesus Frankincense? If it’s good enough for Jesus, it’s good enough for me. But there’s also a part that is just classical conditioning. I start my morning with prayers and my devotional while diffusing essential oils. The smell correlates to a time in the day where the house is quiet, and I am spending time with Jesus. If we have an afternoon that gets off track, I’ll diffuse Joy. We all smell it while dancing or cleaning or praying and we associate it with our commitment to be happier. There are a ton of different oils you can buy. My favorite brand is Young Living. It has a Seed to Seal guarantee and is sold by people I know, so my purchase helps a small business owner instead of a big corporation. Plus, buying from a Young Living rep gives you access to their wealth of knowledge about essential oils, and these ladies know a LOT. If you’d like to find out more about Young Living Oils, check out my friend Enjuli’s Young Living Essential Oils Facebook Page and send her a message. And while Young Living oils are the definitely the best, I’ve also ordered oils from Amazon that were good. When you order a starter kit from Young Living you get a really nice diffuser for free, but I’ve also gotten some good ones from Amazon. Amazon even has some humidifiers that are also diffusers so you can put some Lavender in it to help you (or your kids) sleep better when you decide to shut down the day at 6:45 pm. My entire family knows that when I get hungry, I get a little ragey. So I try to prevent this by eating small healthy snacks often. When I’m feeling down, I want to eat 17 frozen blueberry waffles because I love carbs. But when I do that, my body ends up feeling much worse. Some of my favorite healthy snacks are Baby Bell cheese and almond crackers, Ezekiel bread toasted with butter, a handful of almonds, ThinkThin bars, apple slices with peanut butter, deviled eggs, and hummus and pita chips. And if those snacks sound gross to you, that’s totally fine. Pick your own healthy snacks for your body. Choose foods you love that make you feel good and are good for you. In conclusion, everyone has days that they just feel down. 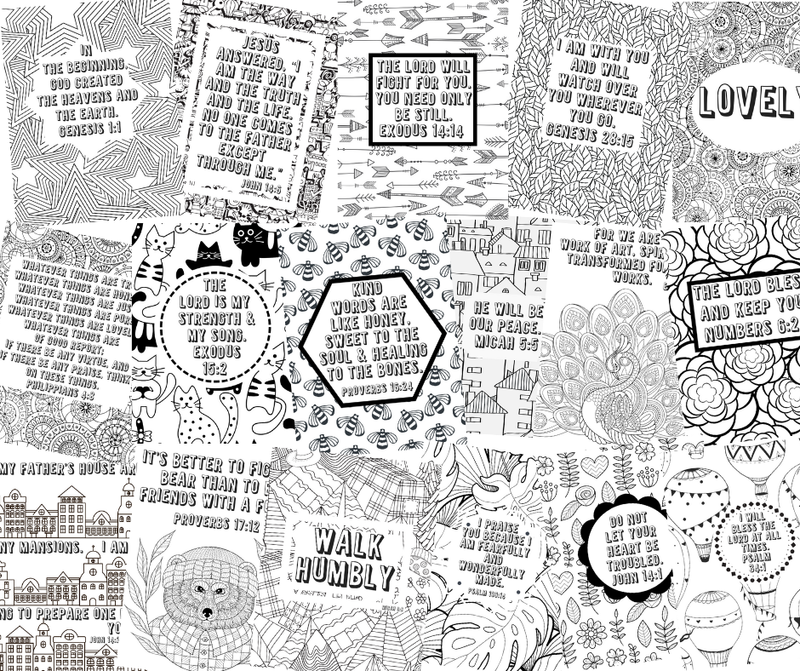 God made us have an amazingly wide range of feelings, and not all of them are good. But God also made our brains to work in such a way that we have the capability to train ourselves to choose our emotions. So if you find yourself feeling down, and you want to turn it around, try one of these nine ways to improve your mood. 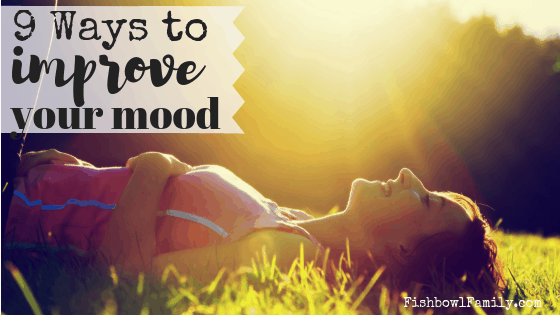 How do you improve your mood when you’re feeling down? Tell us in the comments!